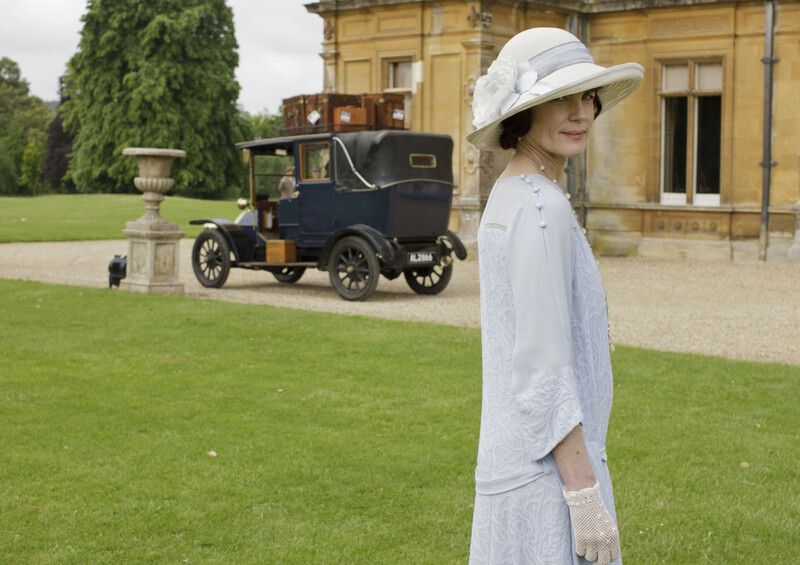 Actress Elizabeth McGovern as Lady Grantham in "Downton Abbey." An upcoming Masterpiece feature film reunites the writer, director and a star of Downton Abbey. The Chaperone, based on a bestselling novel, is scripted by Julian Fellowes, directed by Michael Engler and stars Elizabeth McGovern, who portrayed Lady Grantham in Downton Abbey. It is the first Masterpiece feature film for theatrical release. The film will air on PBS stations after a limited theatrical release, according to a Masterpiece announcement Tuesday at the PBS Annual Meeting in San Diego. Entertainment sales company Arclight Pictures is pitching the film to distributors in Cannes this month. The release date to stations is to be determined. The story takes place in the early 1920s. A Kansas woman (McGovern) chaperones a beautiful and talented 15-year-old dancer, played by Julia Goldani Telles, to New York for the summer. “One of them is eager to fulfill her destiny of dance and movie stardom; the other is on a mission to unearth the mysteries of her past,” said a Masterpiece release. The Chaperone is a coproduction of Masterpiece and Rose Pictures in association with Anonymous Content (Mr. Robot, True Detective). First in the UK on ITV. Very interesting. Thanks to ‘GBH.